Our source of natural spring water rises from George’s spring deep beneath the iconic Glastonbury Tor in Somerset. 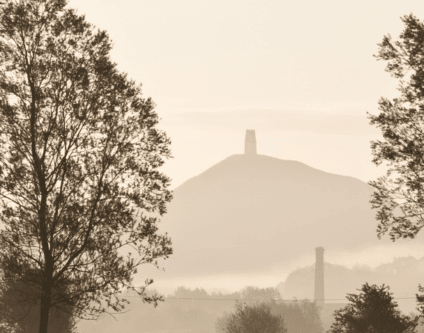 The mists that cover Glastonbury Tor early in the morning sometimes make it difficult to see the rolling hills of Somerset below in all their beauty. One thing that is always crystal clear is the spring water that rises from beneath it, high in Calcium and surrounded by myth & legend, with a deliciously unique & crisp taste.